I'm sure many of you have heard of a CSA by now... and you may even have joined one, but have you ever heard of a CSC? This new-to-me acronym stands for community supported chocolate. Yes, I said chocolate. Instead of (or in addition to) signing up for copious boxes of fruits and vegetables (and even meats) delivered to your door or favorite drop-off spot, you can now sign up for a monthly or biweekly supply of chocolate from EH Chocolatier. It doesn't get much better that that, in my opinion. EH Chocolatier is a small chocolate shop in Somerville owned by Elaine Hsieh and Catharine Sweeney. Since the shop opened in November 2011, Elaine, a professionally trained chocolatier, and Catharine, a self-taught chocolatier, have been churning out stunning small batch chocolates made from scratch with natural, fresh, and dried ingredients. A small box of artfully wrapped bonbons featured gorgeously decorated chocolates and interesting flavor combinations. The jasmine tea one was so strong that it was like a cup of tea enrobed in chocolate. The spice baby truly does evoke warm gingerbread. The pine nut cinnamon praline has a soft but subtly crunchy filling. And the honey caramel has this intense homemade caramel taste and that little sprinkle of sea salt. I love that all of the flavors can be picked up on and the chocolates live up to their names. (There's nothing worse than thinking you're going to get an interesting chocolate and finding it just dull and boring.) These chocolates really deliver on flavor. A larger white box was filled with what might come in a typical CSC package. Mine included a dark chocolate cocoa pod filled with creamy ganache made from cocoa beans from Madagascar; a caramelized white chocolate cocoa nib bar with fleur de sel; a rocher featuring crunchy caramelized flakes, roasted and candied almonds, and dark and milk chocolate; a peanut butter crunch bar with a wafer-like interior vaguely reminiscent of Butterfingers but so much better; crunchy toffee studded with almonds and covered in milk and dark chocolate; a wise guy, an adorable owl-shaped milk chocolate filled with maple pecan butter blended with more milk chocolate; a turtle, and various caramels. I recognized the passionfruit caramel by its scent. There was no mistaking the creamy white chocolate caramel with in-your-face sweet and tangy passionfruit notes. Jeff and I shared the wise guy and loved its rich maple pecan butter filling. The chocolate cocoa pod was easily one of my favorites with its smooth, luscious dark chocolate filling. And that rocher... that was just heavenly. I've been sampling bites of each of the chocolates, and I haven't come across one I don't like yet. They are all so beautifully crafted and so well flavored. Through the CSC program, you can opt to pick up chocolates monthly or biweekly at locations in Cambridge, Somerville, Back Bay, Belmont, Arlington, and Lincoln. You can sign up for a "full season" (6 monthly boxes or 12 biweekly boxes) or choose either the fall or winter season (3 monthly boxes or 6 biweekly boxes). For a monthly partial membership, you'll pay $60, which I think is really reasonable for the amount and quality of the chocolates you'd be getting. If you're wondering why you might to sign up for the CSC (well, first, we can't possibly be friends -- it's chocolate, you don't wonder, you just act), I figure it can't hurt to have a box of artisan chocolates on hand for unexpected guests, dinner parties, or last-minute cravings. If you can't tell, I absolutely love this idea. Who doesn't want to be surprised with unique, interesting chocolates each month? Not to mention that you'd be supporting a local business. We need to hurry up and move back so I can be close to one of the pickup spots and sign up for some of these fabulous chocolates. The chocolates I sampled were complimentary, but as always my opinions are my own. What do you think... would you sign up for a CSC? I had my final wedding dress fitting last Friday! The dress fit... and now it just needs to be pressed and cleaned and picked up before the wedding. My friend Kathleen joined me for the fitting so she could learn how to bustle my dress (boy is it complicated), and then we planned to stay in the area at her fiance's mother's house for the night. After my fitting she took me out for a birthday dinner at Cava, a restaurant I had gone to with my mom and sister the day we bought my wedding dress. We had reservations at the chef's table, which is a bar counter facing the kitchen, but the people sitting there weren't quite done with their meal yet, so we sat at the regular bar, where we were able to make conversation with and get drink recommendations from the knowledgeable bartender and still see the kitchen whenever we turned around. Cava has an a la carte menu, but the chef's tasting menu is the way to go. As long as there are two people in your party who want it, you can order it. It's 9 courses for $29! We both easily agreed on doing the tasting menu. A parsnip cappuccino was next. This was a creamy parsnip souplike beverage topped with fragrant nutmeg and vanilla froth. It's so interesting because the way it's served makes you think you'll be having espresso, but then it has all these different, more savory flavors. A porcini porridge made with steel-cut oats arrived topped with chanterelles, escargot, and burgundy truffle and sat atop a bright green, herby puddle. My first experience with escargot (somewhere else) was not a pleasant one, so I was a little hesitant to try these, but the texture was much better, similar to mushrooms, tender but firm, without being chewy. And the porridge makes me want to use steel-cut oats in a savory application at home. A simple bowl of roasted brussels sprouts, squash, and pomegranate and pumpkin seeds was full of caramelized flavor and a perfect introduction to the fall weather upon us. The lentils with pork belly, bacon, and apple were also perfect for the fall. The lentils had flavors similar to baked beans. The pork belly was crispy and crunchy, the way I prefer it. And the apple added a welcome sweet note. A brothy soup with a clam, a tender chunk of cod, diced potatoes, and chorizo was light and nicely flavored with saffron and a touch of bottarga for saltiness. We asked for bread when this dish arrived, so we could sop up the broth. At this point, we were both ready for a glass of wine, and we were about to go with 2 1/2-ounce glasses of a syrah blend (Cava offers 2 1/2- and 6-ounce glasses) when the bartender suggested we try one of his favorites: 2009 Grenache, Alto Moncayo "Veraton" from Spain. He said it would go great with our beef course (coming up next) but also with dessert if we had any left by then. And he was, of course, right. While chatting with him about the wine, we also learned that Cava sells wine by the bottle not just for consumption in the restaurant but for retail too. The retail prices are lower than the in-restaurant prices. If you have a bottle you really enjoy at dinner, you can buy one right there to take home. I thought that was pretty cool. And the wines are unique to the area. You can't find them at the rampant New Hampshire liquor stores. A chunk of golden pineapple with pomegranate molasses and lime zest was the perfect segue from dinner to dessert. Dessert screamed fall. It was a moist pumpkin cake with maple, ricotta, pumpkin seeds, granola, and cinnamon-sugared crisps on top. At this point, Kathleen's fiance and his mother had finished their dinner out together and they joined us at the bar as we finished dessert. The bartender found out we were both engaged and getting married soon, so the kitchen sent us a little something to celebrate: churros and chocolate, a combination I don't believe could ever be wrong. We all enjoyed the light, airy churros and the rich chocolate sauce. Sitting at the bar has another advantage too. We got to see all the interesting drinks the bartender was mixing up. One caught my eye as I saw a ruby-colored puree go into the glass, so I asked what it was. It goes by the name Salty Shake and features RumChata (a creamy rum liqueur), house made blackberry puree, and a few other things I'm forgetting. We decided to share one among the four of us, and the bartender split it among four glasses for us. It tasted very much like a strawberry milkshake--the type of drink that can be very dangerous because it's so good and so drinkable. Kathleen's fiance loved it so much, he ordered another one. This was my second visit to Cava, and I loved it every bit as much as the first. From the food to the drinks to the service, the restaurant is incredibly impressive and a must visit if you're ever in Portsmouth. Thanks for taking me out, Kathleen! Do you like to try tasting menus or do you prefer to order a la carte? Yesterday was a long day. Jeff and I had to be up at 6:30 am to get to a final planning meeting at our wedding venue at 8 am. We rolled out of bed, hopped in the car, and grabbed coffees on the way. The meeting lasted for about 2 hours -- we went over all those last wedding details -- and then we headed out to run errands. We stopped at Costco to grab the remaining components for our welcome bags. When we got home, we had a quick lunch and spent the afternoon stuffing welcome bags (we got them all done!). And then evening rolled around and Jeff went to his softball game, and I went to see my hairdresser to get my hair colored for the wedding. Needless to say, by the time we both got back around 7:30 pm, we were tired... and we needed a quick, effortless dinner. Luckily, I had recently been sent some layered cream cheese biscuits by Robinhood Meetinghouse, which is a Maine-based company that uses real butter and fresh, simple ingredients in its products. The biscuits come frozen and bake in just 25 to 30 minutes. I preheated the oven, laid them out on a pan, and set about figuring out the rest of dinner. I also happened to have some Neese's Country Sausage in the freezer. My uncle lives in Virginia and pretty much knows better than to visit my mom without replenishing her supply of country sausage. Fortunately, she shares with me sometimes, and she had recently given me two packages of the delicious, sage-heavy sausage. I defrosted some of it. Biscuits, sausage... I had eggs and some cheddar in the fridge, so egg sandwiches were definitely forming in my head. Then I remembered I had also been sent some samples of Stir It Up Cuisine's Sweet Heat Pepper Jelly. Done. Stir It Up Cuisine is a Massachusetts-based Caribbean catering company, owned and operated by native Jamaican Patricia Kiernan. Her pepper jellies are available online and at various local retailers and farms, such as the Wine & Cheese Cask in Somerville and Wilson Farm in Lexington. I baked biscuits, fried sausage and eggs, topped the eggs with some thinly sliced cheddar cheese, and assembled sandwiches, spreading a little of the pepper jelly on my biscuit. The biscuits were moist and warm (not to mention buttery and light), the pepper jelly added a subtle kick but also a complementary sweet note, the sausage was salty and herby, and the runny eggs tied it all together. It was the perfect lazy dinner, just what we needed after a day of running around (or at this point several days of running around because we've been going nonstop, with the wedding less than two weeks away now!). 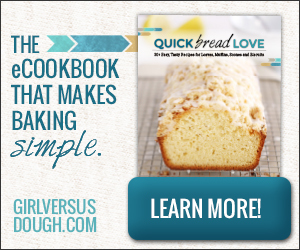 What do you make when you want a quick, effortless dinner? Some of my lovely friends are throwing me a virtual bridal shower today to celebrate my upcoming wedding! Please be sure to check out their thoughtful, delicious posts. 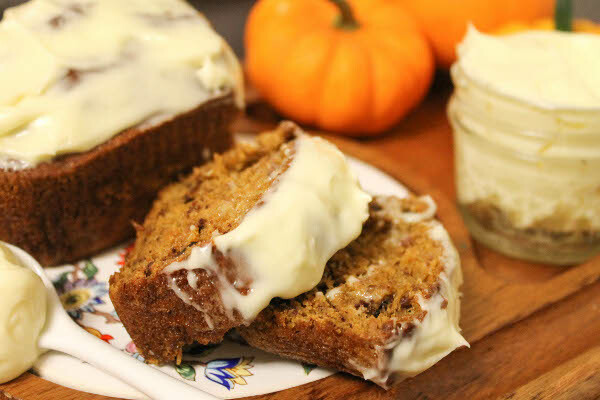 Bianca from Confessions of a Chocoholic is celebrating with Pumpkin Banana Bread. 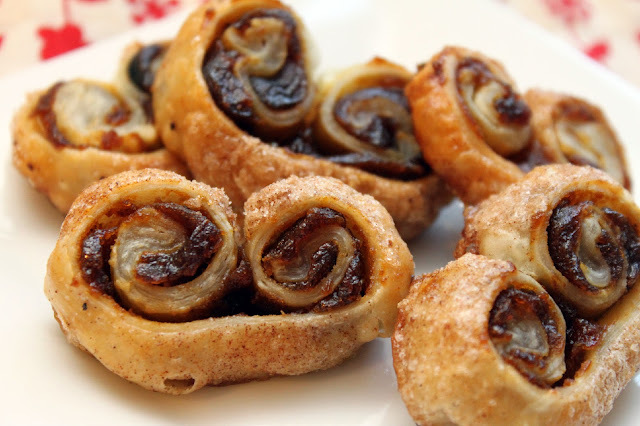 Emily from A Cambridge Story is celebrating with Pumpkin Palmier Bites. Meghan from Travel, Eat, Love is celebrating with Apple Cider Cake. 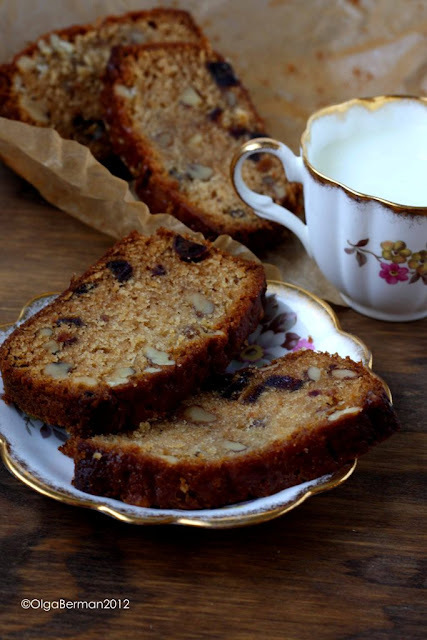 Olga from Mango & Tomato is celebrating with Honey Nut Date Cake. 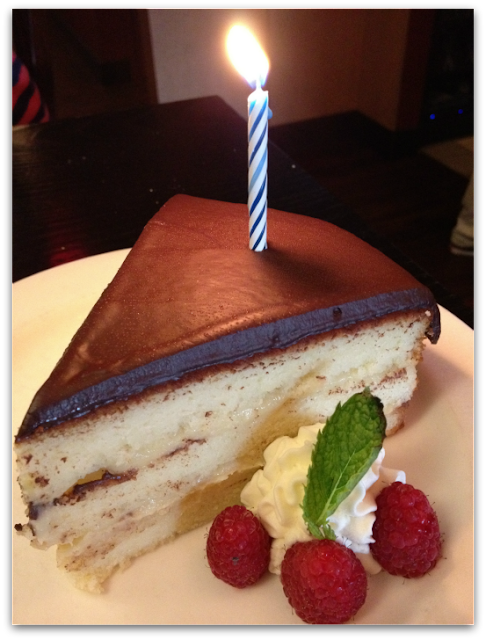 Lin from Beantown Eats is celebrating with Boston Creme Pie. Shannon from Tri 2 Cook is celebrating with Peach Shortcake. Bridget from Yogurt and Berries is celebrating with Celebration Pumpkin Bread. 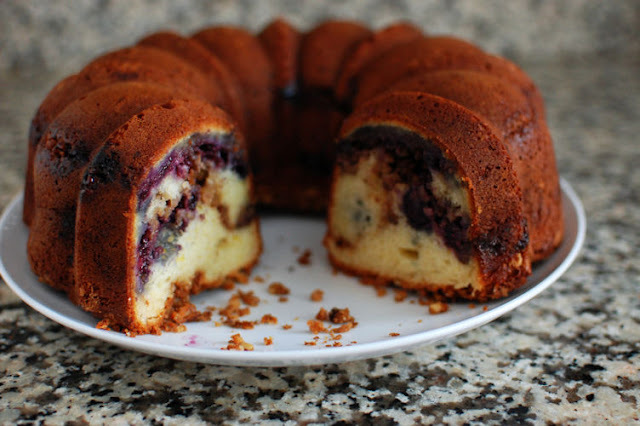 And Jen, who organized the whole thing, is celebrating with a Blueberry Coffee Cake Bundt. This is so much fun! Thank you to everyone who made something and especially to Jen for organizing. Now if I only I could eat all these delicious treats! I bought a Living Social deal for Nebo a long time ago because I had heard the pizza was good and I was interested in checking out this sister-owned North End establishment. Last night, Jeff and I finally had the opportunity to meet friends there for dinner. We both headed over after work, met at North Station, and walked the very short distance from there to the restaurant. Our friends hadn't arrived yet, so we sat at the bar, where I enjoyed a glass of Gavi and scoped out the space, which features chocolate-colored bar stools and brick walls, making for a cozy environment. Once our friends arrived, we were seated in the dining area. (We were asked if wanted the gluten-free menu or the regular menu, and while we all chose the gluten-laden menu, I think it's great that they offer both.) We actually had two servers that night, one who was being trained and one who was doing the training, so the service was very attentive. We started by sharing the rucola, a salad of baby arugula, shaved Parmesan, and lemon vinaigrette. There are some other salads on the menu, but we wanted a nice, light one that would allow us to still eat tons of pizza, and this one fit the bill. We also snacked on warm country olives with orange zest, rosemary, and spices. And our friends, who had been to Nebo before, suggested the grilled baby lamb skewers. I was so surprised by these when they came out. The lamb had been nicely diced and threaded onto skewers and was heavily flavored with rosemary. The pizzas at Nebo are on the small side, slightly larger than an individual pie, so we got four of them. The venezia is a baby clam pizza with pancetta, garlic, chili flakes, parsley, and mozzarella. I was surprised when our waitress brought over a bowl for shells before the pizza arrived. I'd never had a clam pizza with clams still in the shells. I wonder if that's what kept them so incredibly tender. If it is, it made the work of de-shelling them worth it. I was definitely a fan of this salty, garlicky pie. The prosciutto e fichi is a sweet and salty pizza with lots of thinly shaved prosciutto and a soft fig spread. There's some pungent gorgonzola and rosemary to round out the flavors. And some mozzarella for a little gooey, cheesiness. It's the type of pizza my friend and I would make for a girls' night in. In the mood for artichokes and some red sauce, I pushed for the stagione, also known as a four seasons pizza. Typically, the toppings are placed in quadrants (one for each season), but our waitress asked whether we wanted them that way or all over the pizza, and we went for combining them. I recommend this... you can get some of each toping in almost every bite that way. In addition to the artichokes, this traditional-red-sauce-topped pizza was covered with prosciutto cotto (Italian ham), mushrooms, olives, and mozzarella. It balanced out our two white pizzas. Jeff, who tends to go for more simple toppings on his pizza, tried the Michael diavolo, which has pepperoni, bacon, traditional red sauce, and mozzarella. I didn't try any of his, but he enjoyed it. And I know it had to be good since it had the same flavorful red sauce as the stagione. At one point during the evening, our waitress brought a heaping pile of zeppole to a nearby table, and Jeff immediately flagged her down to find out what she had delivered. At that moment I knew we had to get some for dessert. And that we did. Soon enough a plate piled high with sugar-dusted fried dough arrived at our table too. The pieces ranged from crispy to chewy, and I found myself stealing the chewier ones. The four of us had a nice evening at Nebo, catching up with each other. I thought the restaurant got a little loud at times, but other than that, it was great. We enjoyed the food, and I'm kind of wishing we hadn't given our friends all the leftovers now. Have you been to Nebo? Needham is not a place I normally pass through, but I'd been hearing and reading little bits here and there about a restaurant called Sweet Basil. And then I was invited in to try the restaurant and meet chef Dave Becker. Shortly after we were seated, Dave came over and introduced himself and then pulled up a chair and chatted with us for a bit. Talking with him was like catching up with an old friend. The conversation just flowed naturally and we learned so much about him and the restaurant. He wanted to find out our food likes and dislikes, and I let Jeff go on about all the vegetables he didn't like. And then I watched Dave's eyes light up when he announced to us that he was taking those dislikes as a challenge. I liked him already. Sweet Basil is BYOB but Dave had a bottle of wine ready for us just in case we weren't aware of that. He happily poured me a glass and later offered the bottle to a nearby table. I think it's a nice gesture for people who have never been there before and might not realize that they won't be able to order a glass of wine with their dinner. If you bring your own wine, they can re-cork it for you so you can take home any leftovers. We kicked off dinner with some bread and pesto. The pesto had such intense flavor and was a welcome change from a dish of olive oil. I was tempted to eat too much bread because the pesto was so good. After we nibbled on the bread and before our food started to arrive, Dave came over and said he had something to show us. He brought us downstairs, stopping by the open kitchen on the way so we could say hi to everyone making the food that night. When we got downstairs, we were in another kitchen, where we saw lamb shanks resting (they were mouthwatering!) and fresh pasta being made. As a souvenir from our visit downstairs, Dave packed us up some of the pasta (strozzapreti) that had just fallen from the machine. We settled back in at our table, and the food began to arrive. A cool, crisp watermelon gazpacho was first and came in a beautiful bowl crafted by Dave, himself. (He doesn't have enough to use solely his own bowls in the restaurant, but that's the plan. I think it adds a really personal, thoughtful touch.) The gazpacho, which was definitely more savory than sweet (I know some people fear fruit soups), featured crunchy veggies in a flavorful broth and a dollop of creme fraiche. In Dave's quest to get Jeff to try beets, he sent out a mixed greens salad with beets, goat cheese, and dried apricots. Jeff ate around the beets (and the apricots and goat cheese); I ate everything and loved the combination. Dried apricots are something I need to add to my salads at home. The Greek lamb meatballs came simmered in a spicy tomato sauce and topped with tzatziki sauce. The meatballs tasted of Mediterranean spices and had a little bit of a kick. I appreciated the cool, creamy tzatziki for contrast. Dave told us the rosemary chicken is a customer favorite, and we could definitely see why once we tasted the mixture of fresh ziti, crispy pancetta, asparagus, and, of course, rosemary chicken in Parmesan cream sauce. Jeff and I may have fought over the crispy pancetta bits. We tried a sampling of the veal marsala (it's normally a bigger portion and comes with a side of pasta), which has a rich, savory port and marsala sauce, lots of mushrooms, figs, and a topping of wilted spinach. Dave explained that he'd asked the kitchen to put a "bark" on the mushrooms, in hopes of changing the texture enough to get Jeff to enjoy them. It was a really good effort and the first time I've ever seen Jeff eat a mushroom, but I don't think he's a convert yet. The veal was moist and the fruity figs helped balance the velvety sauce. When I knew we were heading to Sweet Basil, I studied the menu, and one of the things that really jumped out at me was the corn agnolotti, so I was so happy we got to try it. The agnolotti is kind of a cross between pasta and an empanada; it gets a nice, crisp outside. It's stuffed with a corn filling and served in a flavorful broth with an arugula salad and vegetables. It's a dish that screams summer, and it was great to have it before the summer ends. A hearty dish, perfect for welcoming fall weather, is the braised chicken, which is Sweet Basil's version of chicken cacciatore. The chicken thighs were fall-apart tender and tossed with fresh pasta and a tomato-based sauce with port wine and balsamic vinegar. We managed to make our way through much of the menu before we got too full. Dave happily packed up all of our leftovers for us and threw in some extra meatballs, a whole loaf of bread, and a tub of pesto. Then he gave me his cookbook and even signed it for me (expect a cookbook review at some point). I couldn't believe his generosity. Then again, after spending the evening chatting with him, seeing how many of his customers came by our table to say hi, bye, or thank you to him, I could. He even makes some bruschetta-like snacks for anyone stuck waiting in line outside (Sweet Basil doesn't take reservations and there's often a wait.) He does it just to make people happy. If they're happy standing out there, then when they get inside, they're less likely to be cranky. I thought it was a good strategy because waiting in line (especially to eat) can definitely put me in a bad mood sometimes, and a great little snack would help take the edge off. Sweet Basil doesn't serve desserts, but Abbott's is right next door, so you could always get some frozen custard after dinner. That was my plan when we walked into Sweet Basil, but when we walked out, my stomach said no thank you. I was full. My post doesn't even begin to do Dave or Sweet Basil justice. Jeff and I had an incredibly fun evening dining at the little restaurant, getting to know Dave, and trying all sorts of items on the menu. I was so impressed at how everyone seemed to know Dave. We even stood outside chatting with him and a couple of elderly couples who had been going there for years. They couldn't believe it was our first time there and that we didn't know Dave already. A huge thank you to Dave for making this such a memorable evening! Our dinner was complimentary (we just paid the tip), but as always my opinions are my own. I have to give Jeff credit for most of these pictures. He took the seat with the sun behind him, so he had the better lighting and I passed him the camera. Have you tried any restaurants outside of your normal dining area lately?